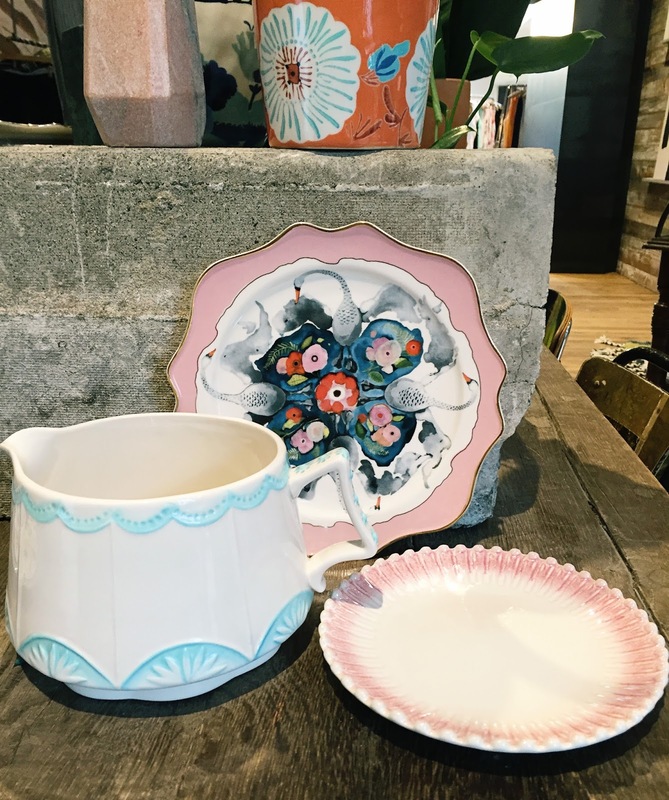 I was lucky enough to be invited to the Anthropologie Autumn/Winter ’16 preview last week. 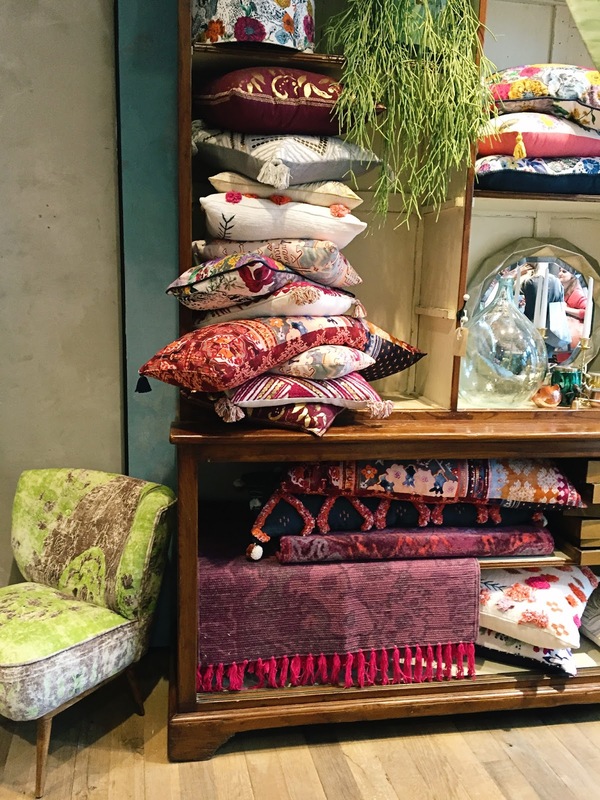 I love an excuse to head down to London town, especially when it involves browsing and taking snaps of beautiful homeware and fashion. 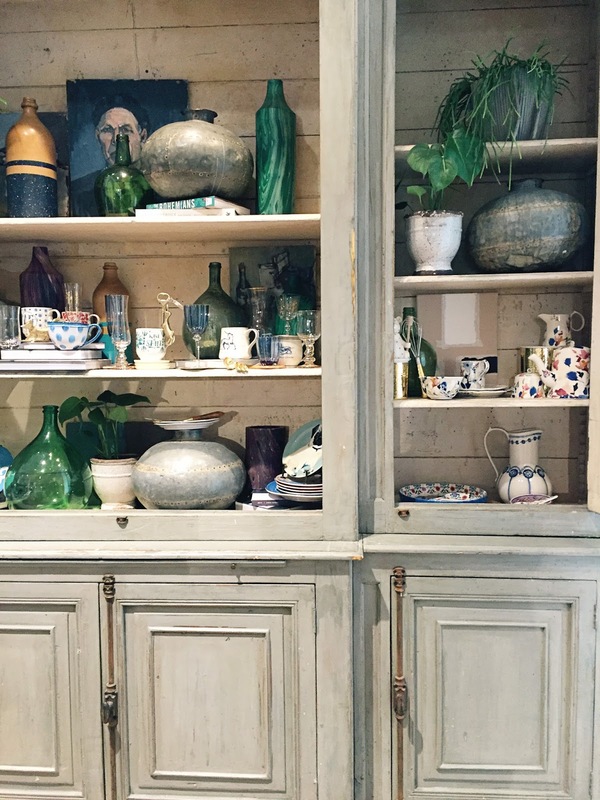 Visiting Anthropologie in Regent Street is not just nipping into a shop, it’s a complete experience. Everywhere you turn there are the most incredible displays, the most jaw dropping one this time being the wall of flowers and succulents hand made from paper, that greet you as you walk in. So, I was excited to get a sneak peek of their Autumn/Winter range, which as predicted, was exquisite. 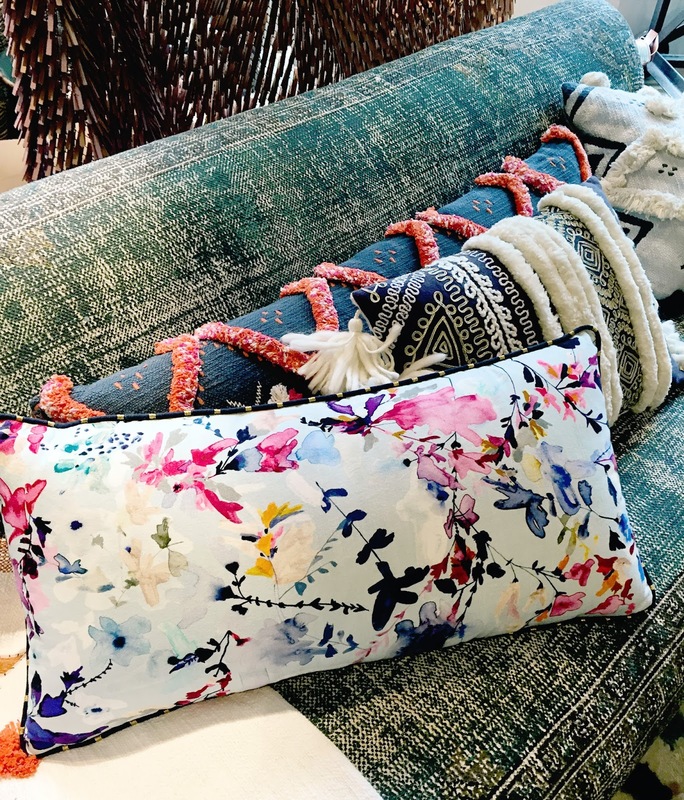 Cushions and throws in glorious, rich colours, patterned crockery and eclectic glassware, all came together to create a luxuriously decorative, vibrant display. 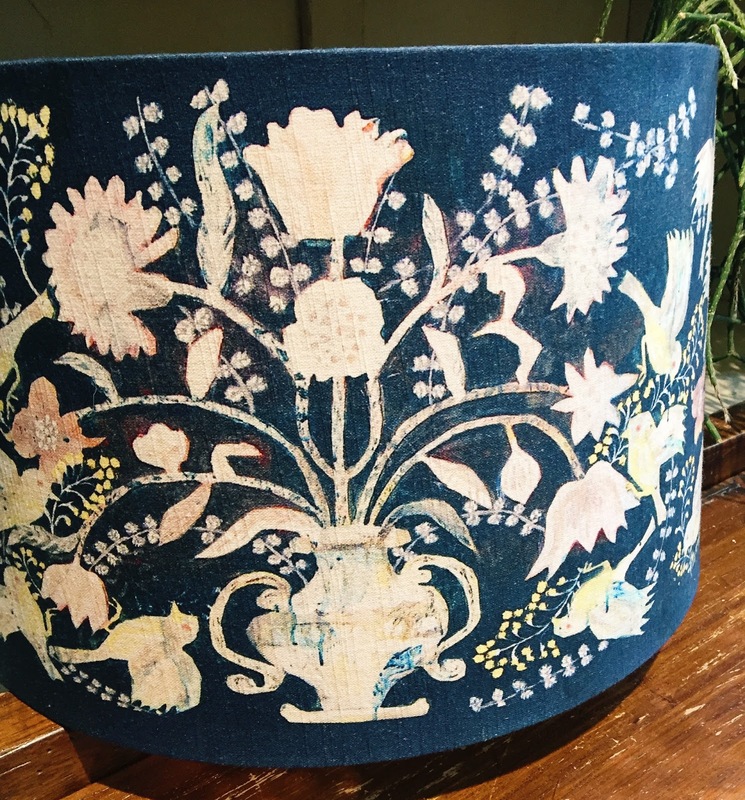 I think my favourite piece was the amazing navy blue drum lampshade pictured above, adorned with flowers and birds. 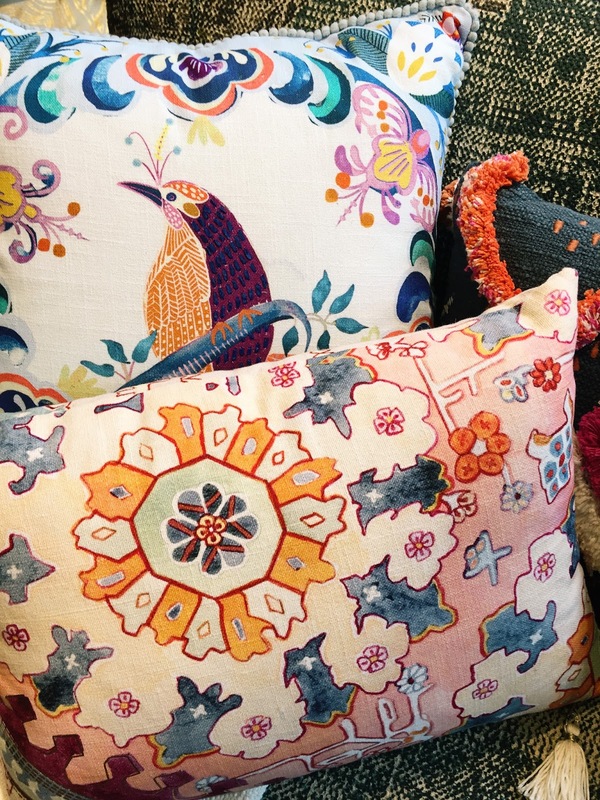 Anything with flowers and birds is a winner in my opinion. 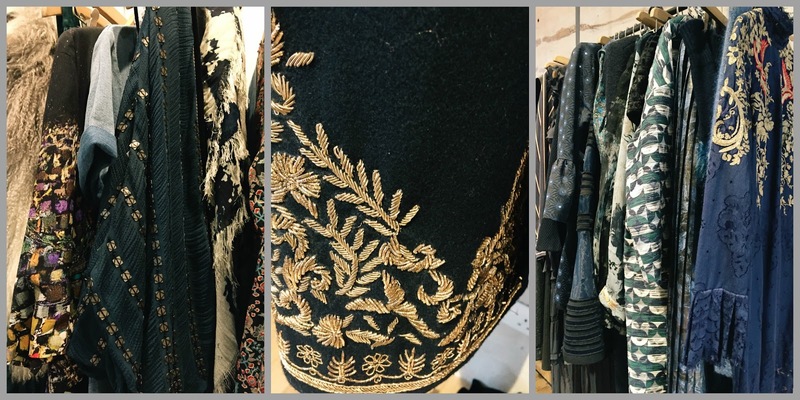 Their A/W clothing range was breathtakingly gorgeous (insert heart-eye emoji here!). 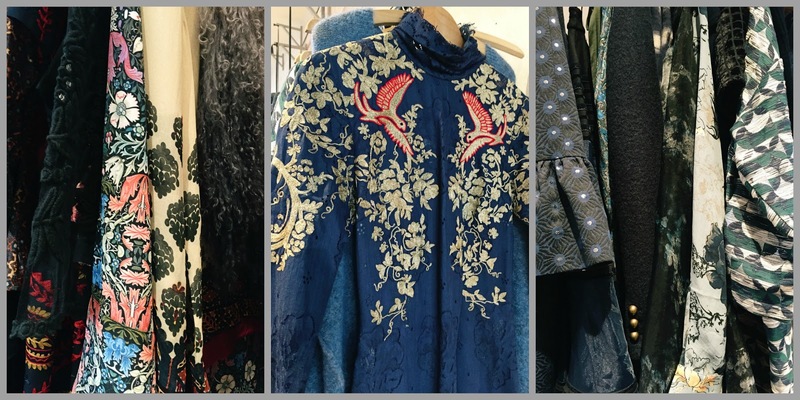 Fabrics heavily embroidered or embellished with sequins, brocades in dark opulent colours and long dresses in trailing floral prints, somewhere between Pre-Raphaelite and Victorian gothic. It was my dream winter wardrobe. Before I left I explored the rest of the store and took a few more snaps. I wasn’t able to leave the shop empty handed either, so I will share my purchases with you soon!